November | 2013 | Sonic Smash-Music! The famed Latin guitarist known as Johannes Linstead has released his latest single, an original seasonal song, titled, “Christmas Is Near!” The Christmas single has been released under Linstead’s new musical appellation, Johannes Linstead Classical Works, and is the first of many new titles to be published by the composer under the title. In addition to the uncanny and myriad musical skills of Linstead himself, “Christmas Is Near!” also showcases the talents of Ondyena Oshyn, Krystal Ford, Maleigha Ford, and Ethan Ford. It is a Christmas song written in the classic American tradition, one very close to the Linstead household’s heart. 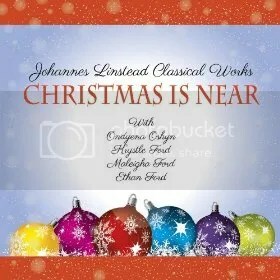 “Christmas Is Near!” is singularly important for longtime fans of Johannes Linstead, also, as it represents a shift from the Latin and world-music genres for which he has become famous, into that of classical music, the kind of music to which he grew up listening. Linstead’s music has placed in Billboard’s coveted Top Ten, has earned no fewer than six Best Album awards, and has garnered him the Canadian Smooth-Jazz Awards’ Guitarist-of-the-Year title. He is a Yamaha Influential Artist and has endorsed Yamaha of America’s classical line of guitars. He is well-known for his spiritual and humanist nature, and infuses his compositions with principles of both. “Christmas Is Near!” from Johannes Linstead Classical Works is available online worldwide beginning 29 November 2013. 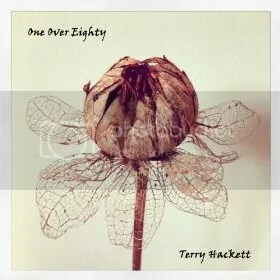 The singer and songwriter known as Terry Hackett has released his debut solo LP album, titled, “One Over Eighty.” The record is comprised of nine original tracks for an approximate total listening time of 40 minutes. It is the most significant release by Hackett, himself, though he has been playing drums and working in music studios for many years. A record with myriad facets and cultural attributes, “One Over Eighty” by Terry Hackett is a record boasting gorgeous, unique instrumental and pop compositions alike. Hackett cites as main artistic influences whole genres, each of which are to be heard clearly and well pronounced in his album: rock, pop, traditional Irish, electronic, world music and classical. The record flows from one to the next seamlessly, and attributes of each dovetail with those of the others. Over the entire recording, like a lens through which to view it, he has wrapped his album in a crystal valise of sound production that brings his highly personal and individualistic style into flawless focus. That the high production value of his debut record should factor so pertinently in the resulting tone of his music makes sense, as Hackett has been working as a sound engineer since 1988, when he was first hired by Sun Recording Studios in Dublin, Ireland. Over the years he has lent his talents to scores of popular and successful recording artists, not only as an engineer, but also as a programmer, producer and session drummer. Interestingly enough, the mood of the album is upbeat, warm, and uniformly beautiful. Its moments of relative gloom are fleeting and spare. One can sense the subliminal presence of friendly people in Hackett’s tracks, as if one were sharing the experience with humanity in general. Terry Hackett sings in the largest Irish choir (RTE Philharmonic Choir) regularly performing classical choral works in Ireland’s National Concert Hall. He currently teaches sound engineering and music production full time. “One Over Eighty” by Terry Hackett is available online worldwide beginning 29 November 2013. Get in early. 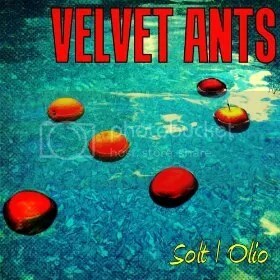 The alternative rock musicians known as Velvet Ants have released their third official studio album, titled, “Solt Olio.” The record is comprised of 12 original tracks for an approximate total listening time of 45 minutes. It has been released on the Zeptune Records music label. A comprehensive collection of Velvet Ants material, “Solt Olio” is both an excellent introduction for audiophiles not yet introduced to the band and a reassertion of the innate, natural greatness Velvet Ants fans have been aware of since their inception in 2006. The sound of “Solt Olio” hearkens to the early ’90s sound of alternative-rock bands who were not playing the grunge music that came to dominate the category for many latter-day listeners. Velvet Ants, themselves, cite as main artistic influences such groups as the Police, Nirvana, Smashing Pumpkins, Beach Boys, the Cars, Stone Temple Pilots, the Beatles, Weezer, and the Breeders. Interestingly enough, it is the Breeders who share the most easily recognized sonic elements with Velvet Ants. Contemporary audiophiles might pigeonhole Velvet Ants as post-punk music, however, which is a non-standard music subgenre categorized by unadorned studio production, a rejection of studio special effects (such as autotuning), and the occasional one-two beat. “Made it a point to make sure things weren’t over-produced,” Velvet Ants write of this. All of these punk-rock principles help to make “Solt Olio” a record with texture, octane, and emotion without melodrama. Intelligent, groovably danceable and consistently fun, Velvet Ants’ third official LP is an undeniable success that fans of bands such as the Pixies, Sonic Youth, and Pavement will be enthusiastic to discover. “Solt Olio” by Velvet Ants is available online worldwide beginning 1 December 2013. It follows close on the heels of the re-release of their newly remastered debut LP, “Lunatic Frame.” Alternative music fans should get in early. 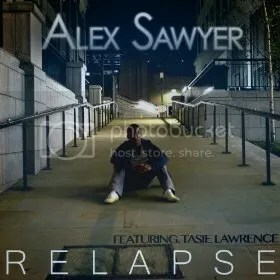 Multi-genre singer, songwriter, rapper and producer Alex Sawyer has released his debut single, titled, “Relapse.” The single is the most eagerly anticipated and first official release from Sawyer to date, and stands to place him among the most popular singer-songwriters in the contemporary world of music. A track that mixes traditional urban poetry with elements of R ‘n’ B and electronica, Alex Sawyer’s “Relapse” is accessible by music fans of many genres. Sawyer is largely known for his screen personality. He has been acting since the age of 9 and writing music since the age of 11. He garnered international fame for his role as Alfie Lewis on Nickelodeon’s popular TV series, “House of Anubis,” which aired in 24 countries over the globe. In addition to Sawyer’s own skills, “Relapse” features the considerable talents of singer/songwriter Tasie Lawrence. Lawrence was previously a member and lead songwriter in the Universal Island signed band, WooWoos, before deciding to take a deeper interest in her acting career and a more independent path in music. “Relapse” stands out among many other popular tracks in the rap genre in that its themes surround a commentary on the negative aspects of western society and are less focused on the hedonistic urban lifestyle. Its feel is brisk, cool and classy, with melodies that do not obstruct Sawyer’s rapping and beats that emphasize bass lines in a way that is more complex than is usual in hip hop. These bass lines are very much a leading force in the song, not merely an accessory to the kick drum. “Relapse” is a track that is certain to please fans of traditional rap, R ‘n’ B, hip-hop, house music, and other sub-genres of EDM. Alex Sawyer’s multicultural ancestry is perhaps part of his diverse style and sound. He is Ghanaian, Finnish and English, and was born in Kent, England. His artistic interests are likewise mixed. Sawyer is currently living in England, however frequently spends time moving between London and Los Angeles to work on his music, acting, as well as filmmaking endeavours. “Relapse” (featuring Tasie Lawrence) is available online worldwide beginning 27 November 2013. The singer-songwriter known as Luke Underhill has released his latest EP, titled, “Back to November.” The album is comprised of six original songs for an approximate total listening time of 20 minutes. 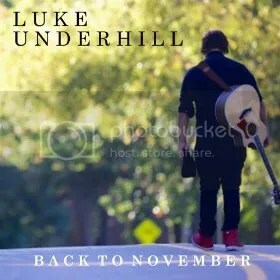 The record is Underhill’s most anticipated and significant official release since his 2012 debut, a CD intended primarily as a press kit, titled, “Introducing Luke Underhill.” “Introducing…” is a solo, acoustic record containing six cover songs and three Underhill originals that jump started his fledgling music career, and which proved in short order that the entertainer would no doubt be forthcoming with more. Underhill cites as main artistic influences such artists as Jason Mraz and John Mayer, though he considers Bruce Springsteen, Ed Sheeran and Coldplay to be the main influences on his writing style. Elements of all these are easily noted in the mood and tone of Underhill’s music. His chord progressions often invoke the patterns of ’80s rock and contemporary pop music. Interestingly enough also, though attributes of their infamous sound do not appear in work by Luke Underhill, Australian rockers AC/DC figure somewhat prominently in his personal music history. As may be intuited from his listing Jason Mraz and John Mayer as favorite musical acts, Underhill’s lyrical themes are interpersonal and often romantic in nature. Underhill was born in 1995 in Chicago, IL, adopted by his parents at birth, and raised in Yorkville. His sister, also adopted, is little more than two months younger. His “Back to November” record is the first in a series of three EP records he intends to publish in the coming months. “Back to November” by Luke Underhill is available online worldwide beginning 28 November 2013. The musical duo known as Ryan and Fi have released their latest single, “Song for Luke.” The single is in memoriam of singer Ryan’s brother, Luke who died tragically while climbing last year. “Song for Luke” is the most significant official release from Ryan and Fi in recent months and will be followed by another single, “Well Together” on December 10th. “Song for Luke” is a work of great humanity and beauty in equal parts, undeniably moving music that seizes the listener at once and caresses rather than plucks the heartstrings. It is some of the most heartfelt, genuine songwriting ever composed. Ryan and Fi is the professional stage name of Ryan and Fiona, who have been playing in the Australian music underground throughout Sydney for ten years in various ensembles. 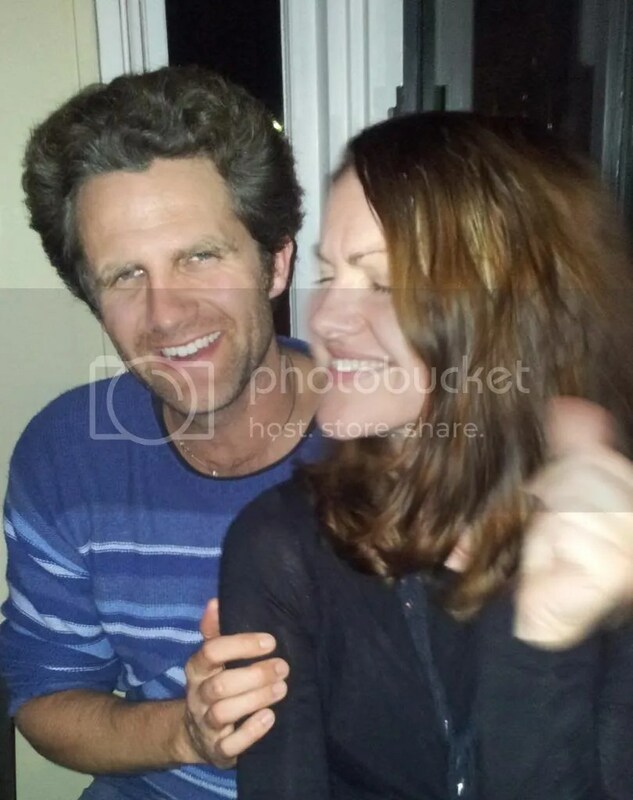 Their current incarnation as a duo, Ryan and Fi, is gaining traction in its third year. They cite as main artistic influences such songsmiths as The Beatles, Leonard Cohen, Bob Dylan, Elton John, Coldplay, Katy Perry and Pink. Of these, Ryan’s songwriting style and vocal timbre is reminiscent of Elton John, Leonard Cohen, and Bob Dylan, also – truly, elements of all three are easily distinguished in Ryan’s own, unique style. The delicate precision of both Ryan and Fi’s voices is often startling, sometimes even bewildering in their sheer perfection. This is not to suggest that they sound mechanical, however. In fact, they melt into their music until one forgets that they are performing it. The lyrical content of “Song for Luke” is not gloomy. It is a peaceful assertion of one’s connection to all things from a natural perspective, not unlike the transcendentalist works of poets like Ralph Waldo Emerson and Walt Whitman. Ryan declares the happy presence of his brother in the wind and the trees. Neither is “Song for Luke” a work of catharsis. It is very simply Ryan’s explanation to the world that, clearly, life is omnipresent and death is not at all. “Song for Luke” by Ryan and Fi is available online worldwide beginning 30 November 2013. The rock musician from the Bronx, New York known as Rocko-Rocks has released his latest and greatest EP record to date, titled, “Tell Me What You’re All About.” The album is comprised of five original tracks for an approximate total listening time of 20 minutes. It is part rock ‘n’ roll, part R ‘n’ B, part dance and part groove. An album with style and swagger in every note, beat and lyric, “Tell Me What You’re All About” is certain to place Rocko-Rocks on the rock map for years to come. Rocko-Rocks began his music career at the age of five, playing drums and percussion. His move to California was intended solely for the sake of forwarding his artistic efforts. 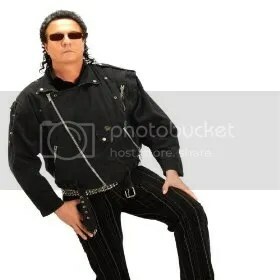 The move worked, and by 15 he was performing live in an opening rock group for bands such as Megadeth and Lita Ford. For years he played in the Central and Southern California circuits until his crew disbanded, and he began to find it difficult to find rock venues as the atmosphere quickly changed to a pop and hip-hop mentality. This was the beginning of the current, contemporary Rocko-Rocks sound, which is signified by his overlaying rock ‘n’ roll elements such as keyboard and guitar on top of R ‘n’ B and hip-hop beats. The result is an amalgam of danceable pop music that feels like traditional house, yet retains the singing and the riffs of nightclub rock ‘n’ roll. The themes of his new EP are largely interpersonal. “Tell Me What You’re All About” by Rocko-Rocks is available online worldwide beginning 26 November 2013.